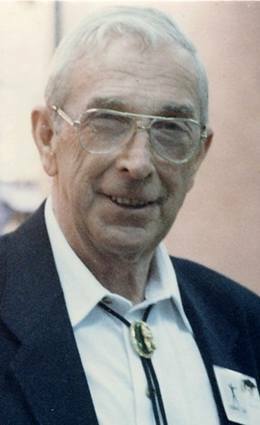 A major driving force in the Fred Bear camp, Frank Scott dedicated over half a century to the archers and archery dealers of the United States. 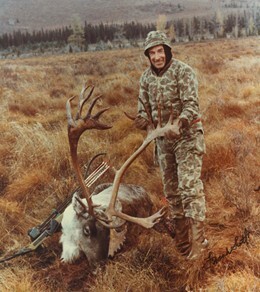 His prime sales goal was to educate the dealer in such a way so that the dealer could service the archery consumer to the consumers complete satisfaction, The total of archery dealers Frank set up numbered in the thousands. 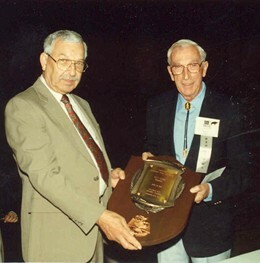 He was considered America’s foremost archery historian sharing his historical knowledge with people of all ages with a special desire to share it with the younger generations. While director of the Fred Bear Museum he shared quality time with six to ten thousand children each year on field trips. 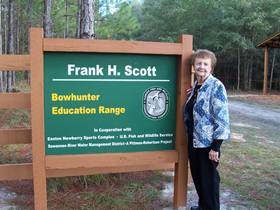 December, 2012 - A presentation was held recently to commemorate the naming of the Frank H. Scott Bowhunter Education Range located in a special area at the Easton Sports Complex in Newberry, FL. 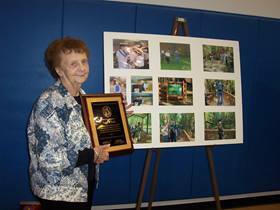 The Florida Fish and Wildlife actually named the outdoor education area in Frank’s honor. This location is the site of Field Days for those students wanting to complete the skills portion of the bowhunter education course. Several employees and former employees of Bear Archery, Greg Easton, Marilyn Bentz, Florida Fish and Wildlife personnel, as well as other industry leaders and conservation personnel from other states were also in attendance at the presentation. 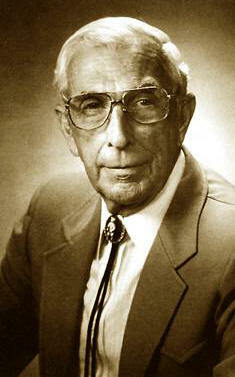 Frank was always very supportive and attentive to youth and conservationists of the future. Ellie accepted the honor on his behalf.